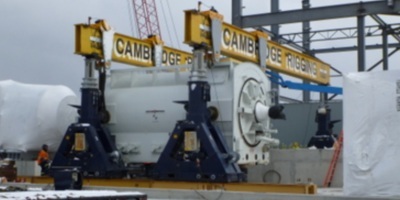 Cambridge Rigging has the equipment to move you. We’ve done every job – from moving a piece of machinery across town to relocating an entire plant across the globe – and we’ve done it safely and on time, every time. Our wide range of practical experience in every aspect of a relocation and our partnerships on either side of many international borders means we can provide smooth, on-time operation and anticipate & quickly overcome virtually any obstacle … even at a global scale. Better still, we have a highly skilled team with varied expertise and a comprehensive inventory of equipment to draw upon to make sure your project is uneventful and completed on schedule.